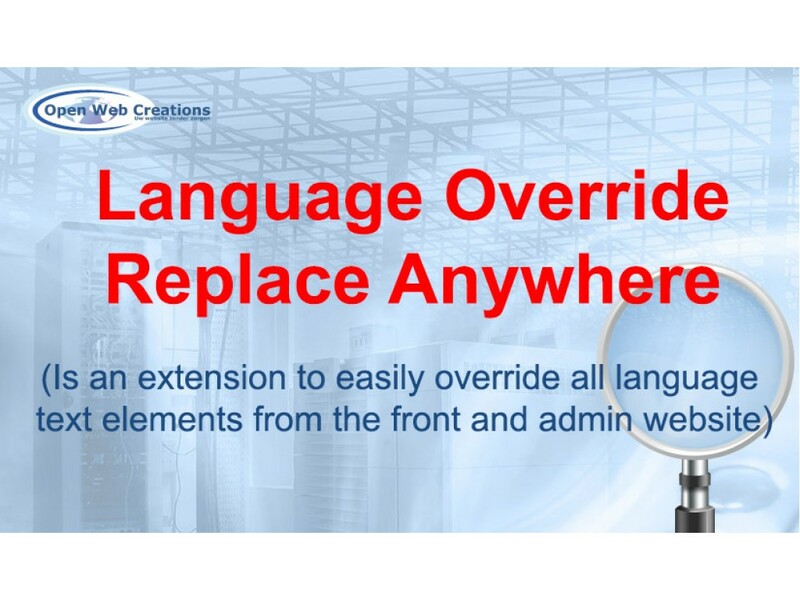 Language Override Replace Anywhere is an extension to easily override all language text from the front-end and admin website. It works on OpenCart languages and all third party language files. Language Override Replace Anywhere will not change any language file, it creates new override languages files which are loaded dynamicly. So its easy to enable/disable a specific override at any time. Replace all occurences of 'Fax' into 'Mobile'. 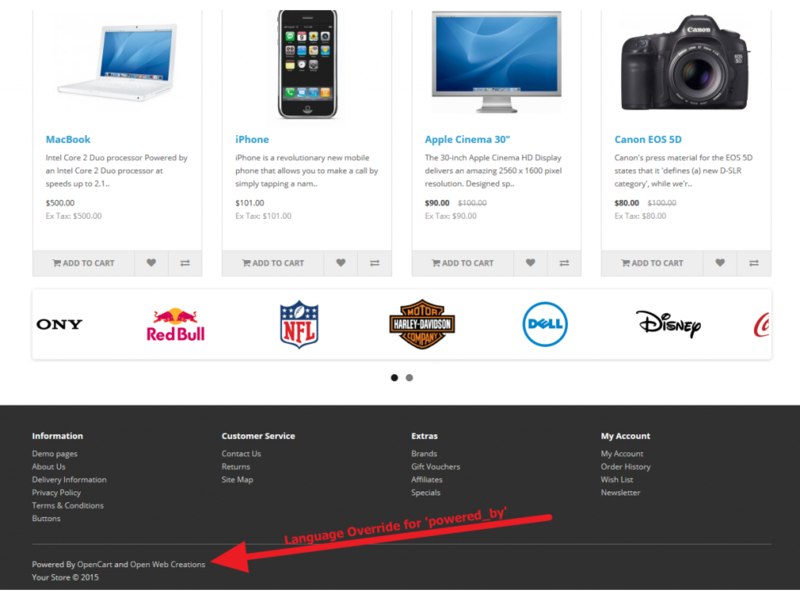 Change the 'Powered By OpenCart' text. 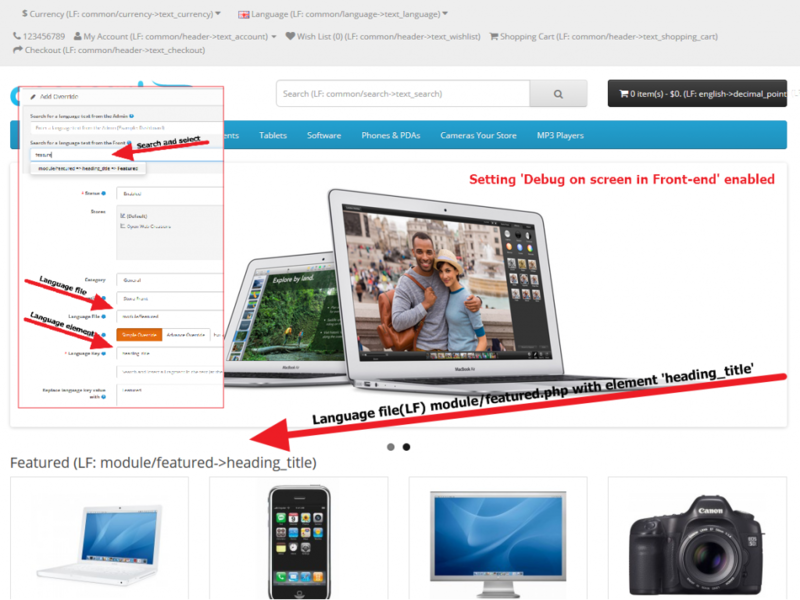 When using this extension in combination with the 'Text/HTML/PHP Fragments Replace Anywhere' extension, you can use dynamic fragments from OpenCart settings or products, like product price or images, store settings name, address, telephone in your language overrides. 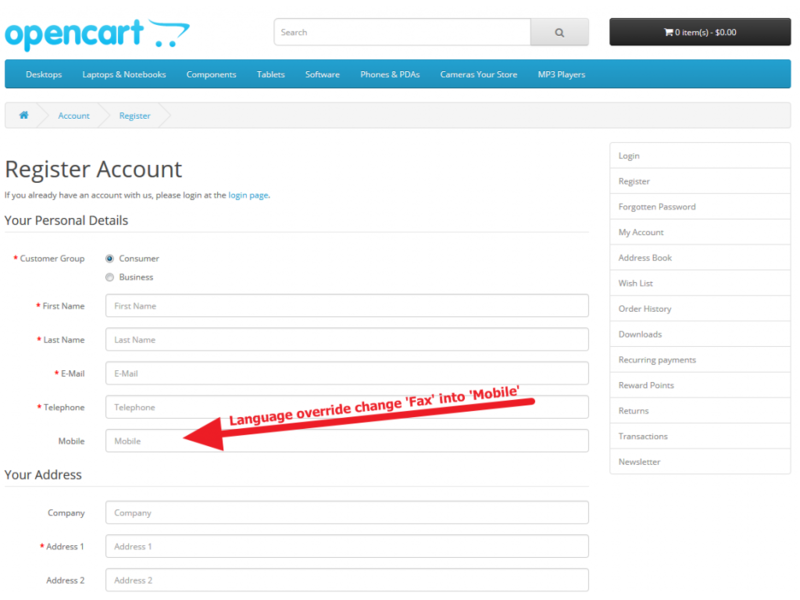 Compatibility: Language Override Replace Anywhere works well in OpenCart version 2.0.0.0 and above. 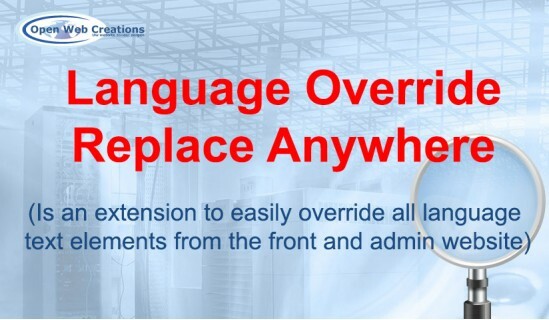 Override Management: Language Override Replace Anywhere allows you to create unlimited overrides as well as categories. 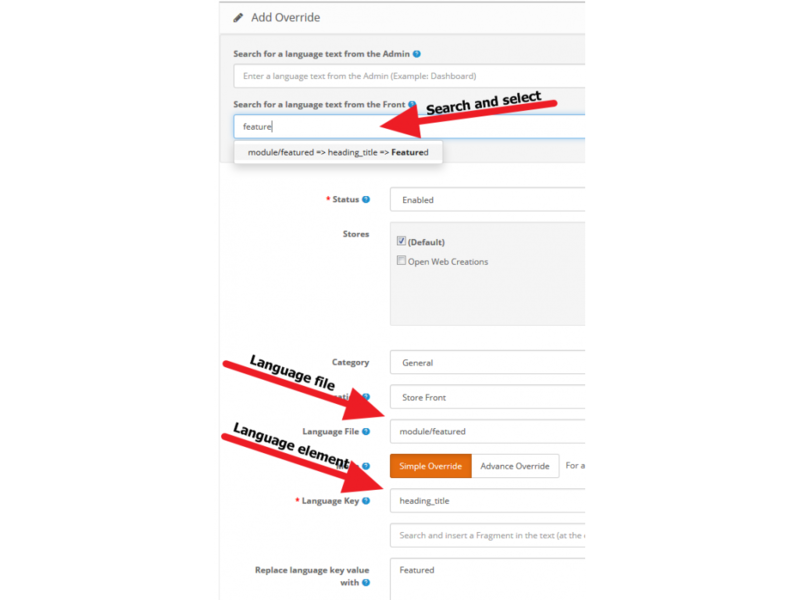 When adding a new langugae override, you can easily search a specific language text in front-end or admin language filess, to find all occurrences and make the language override. 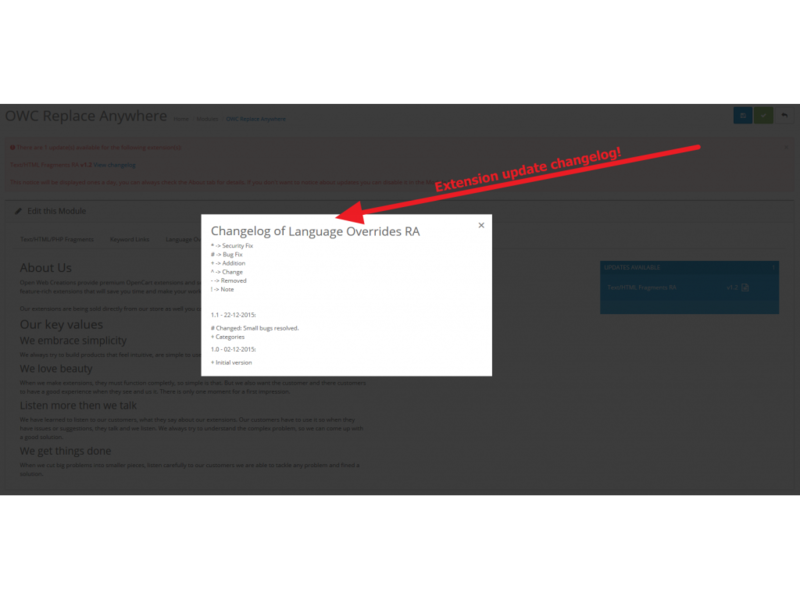 Replace one or multiple: You are able to make a language override to a specific language text item (Simple Override) or you can use the Advanced Override with regular expressions to search and replace all occurrences of a specific language text. 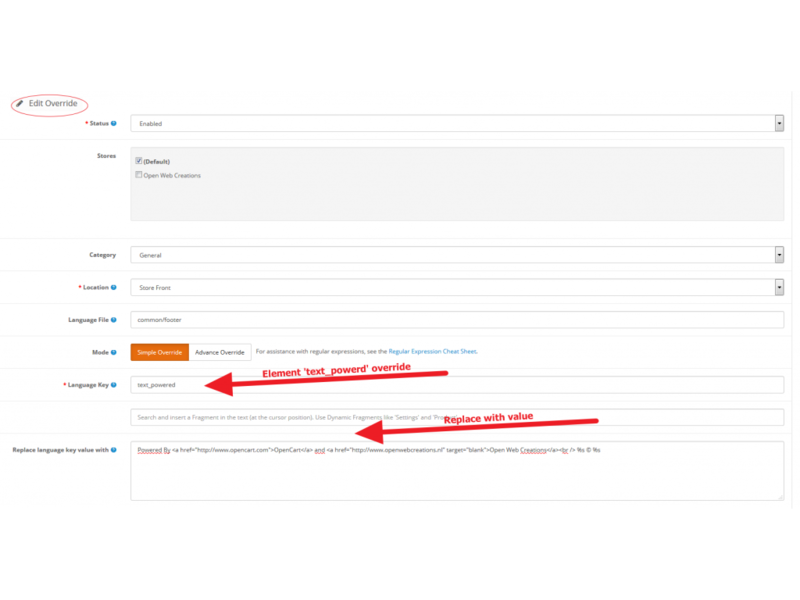 Replace Front-end of Admin: Within each language override you can specify if you want to use the override for front-end languages files, admin languages files or both. 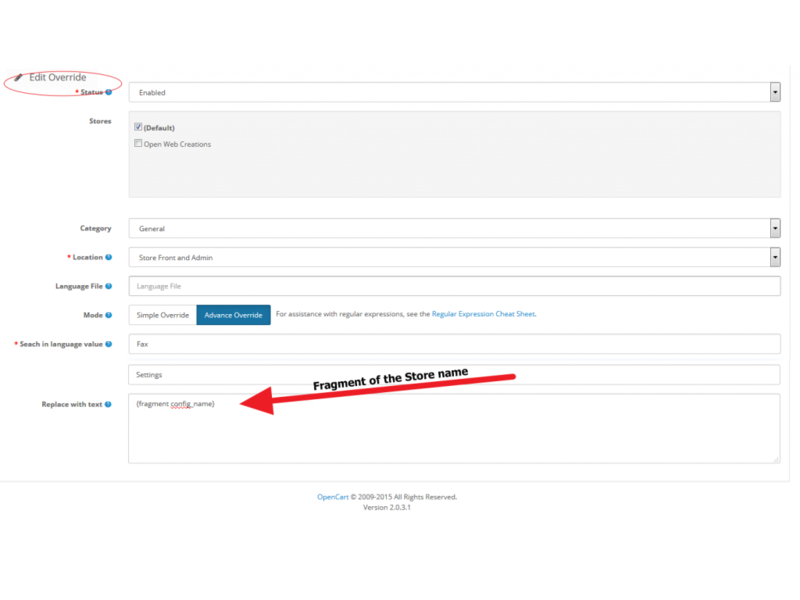 Debug with logging: The extension can generate debug information in the website content around language text, only for a specific IP address. This way you can easily find the right language element. The extension can also generate debug logfiles. ^ Performance after deleting multiple fragments. ^ Performance after duplicate fragments. 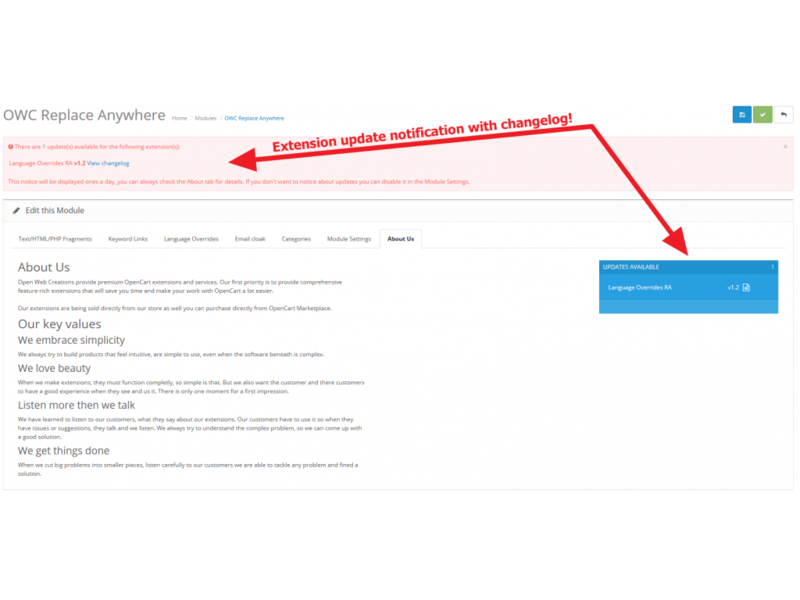 # Bugfix: No refresh override language files after copy language entry. # Bugfix: Multiple replacements in one language file line. When using this extension in combination whith the 'Text/HTML/PHP Fragments Replace Anywhere' extension,you can use dynamic fragments from OpenCart settings or products, like product price or images, store settings name, address, telephone in your language overrides.